Easter at Tayto Park for all the family! 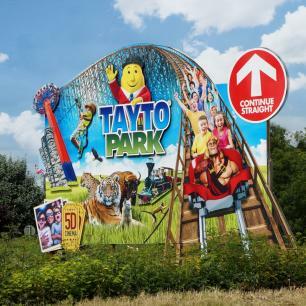 Hey Everyone... Fab giveaway for you all today - thanks to our friends at Tayto Park. We've got an Easter Sunday family pass here waiting for one lucky family.. Here are the details of this amazing day out. Visit Tayto Park on Easter Sunday, April 21st for the ultimate egg hunt with the whole family to help Mr Tayto break the secret code and find the stash of chocolate eggs. Starting in the zoo, make your way around Tayto Park’s Easter hunt trail solving clues and secret messages until the mystery is unlocked!